In a Jan. 27 ceremony hosted by Megan Mullally, the winners of one of the acting industry’s highest honors will be announced. Screen Actors Guild members across the country are now considering their favorite individual and ensemble performances of the calendar year of 2018, and Backstage is once again here to help. Below is a cheat sheet of this year’s SAG Award ensemble nominees for both film and television, for your consideration! The smashiest box office smash of the year and the highest-grossing film ever led by predominantly black talent won over superhero fanatics and critics alike thanks to the SAG-nominated talent involved. 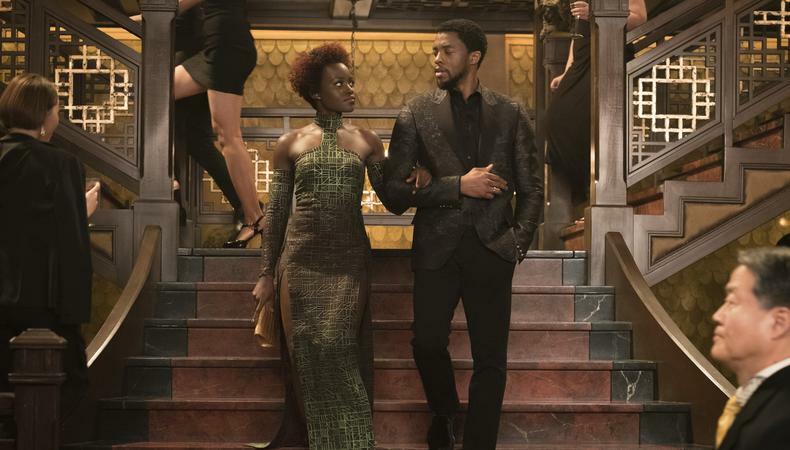 Chadwick Boseman as T’Challa, king of the fictional African nation Wakanda, plus Michael B. Jordan as Erik Killmonger, Lupita Nyong’o as Nakia, Danai Gurira as Okoye, Letitia Wright as Shuri, and Angela Bassett as Queen Mother Ramonda all dove into 2018’s pop culture mainstream, forever redefining big-screen heroes—and awards contenders. Spike Lee’s singular depiction of the real-life story of Ron Stallworth, the black Colorado detective who infiltrated his local Ku Klux Klan in the 1970s, has all the stylistic flourishes and politically charged urgency we’ve come to expect from the legendary writer-director. And it’s just as much a showcase for his terrific cast: John David Washington and Adam Driver give their wary detectives understated magnetism, while Laura Harrier, Topher Grace, Corey Hawkins, and Harry Belafonte make unforgettable appearances. Rami Malek is like a tempest let loose in this Bryan Singer–directed portrait of Queen (the highest-grossing musical biographical film of all time!). He becomes Freddie Mercury from head to toe, practically oozing entertainment from his pores. Popping in and out of his story and boosting the electric energy of this movie are Lucy Boynton, Gwilym Lee, Ben Hardy, Joe Mazzello, Aidan Gillen, Allen Leech, and Tom Hollander. The highest-grossing romantic comedy of the last decade is notable for featuring a majority Asian-American cast, all of whom saw their stars deservedly rise this year. Trailblazer Constance Wu’s Rachel and breakout star Henry Golding’s Nick make such a charming couple that we root for them to overcome their vast cultural differences, although we also can’t resist the fabulousness of their biggest obstacle, Michelle Yeoh’s regal Eleanor. And Gemma Chan, Ken Jeong, the hilarious Awkwafina, and more make up the year’s most cohesive supporting cast. As director, co-writer, and lead, Bradley Cooper had his work cut out for him channeling this classic rags-to-riches, star-crossed romance into a movie of the moment. His co-star Lady Gaga—with whom, you get the feeling, Cooper achieved the most intimate possible level of creative collaboration—had to follow in the footsteps of Judy Garland and Barbra Streisand. Together they create cinematic magic, supported by Sam Elliott, Dave Chappelle, Andrew Dice Clay, and Anthony Ramos, all stellar. Awards attention for Joe Weisberg’s brilliantly tense Soviet spy drama is better late than never. 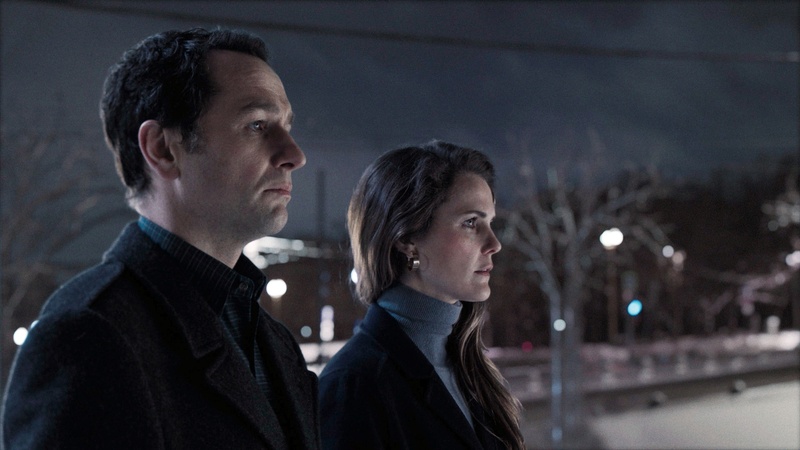 The final season of the FX series, recognized by SAG for the first time this year, stuck the landing with jaw-dropping twists and turns that never lost sight of its complicated central couple: Matthew Rhys’ and Keri Russell’s Philip and Elizabeth Jennings, undercover as a suburban American family. Equally nuanced were Scott Cohen, Brandon J. Dirden, Noah Emmerich, Laurie Holden, Margo Martindale, Miriam Shor, and Holly Taylor. The prequel to “Breaking Bad” is no longer just for fans missing that iconic series. This AMC drama from Vince Gilligan and Peter Gould is a phenomenon in its own right, a consistent tour de force of writing, directing, and especially acting. In bringing to life Jimmy McGill, aka Saul Goodman, Bob Odenkirk coheres wonderfully with co-stars Jonathan Banks, Rainer Bock, Ray Campbell, Giancarlo Esposito, Michael Mando, and Rhea Seehorn, together building a playground of moral ambiguity. As this Emmy-winning Hulu hit has proven, Margaret Atwood’s 1985 novel of the same name remains depressingly urgent. To be fair, the eerie dystopian world she created, a military theocracy using female bodies as breeding vehicles, never quite lost its political punch. With the help of showrunner Bruce Miller, producer-star Elisabeth Moss, Ann Dowd, Samira Wiley, Joseph Fiennes, Yvonne Strahovski, Alexis Bledel, and an increasingly impressive guest star list, that world has been rendered disconcertingly real. Middle-class American banality and the thrilling criminal underworld are woven together with increasing ambition by Netflix’s “Ozark” creators Bill Dubuque and Mark Williams. They also deserve credit for enhancing the darkness in Jason Bateman—playing a family man caught up with a Mexican cartel—and for showcasing the sheer magnetism of Laura Linney as steely matriarch. They work seamlessly with supporters Sofia Hublitz, Skylar Gaertner, Jordana Spiro, and the superb Julia Garner. NBC’s still-popular, still-great family drama requires unflinching, gutsy performances from its SAG Award–winning actors, who with Dan Fogelman’s every melodramatic twist risk sacrificing honesty for sentimentality. All rise to the occasion; when Mandy Moore, Milo Ventimiglia, Sterling K. Brown, Chrissy Metz, Justin Hartley, Jon Huertas, and Susan Kelechi Watson crank up the emotions, just try to keep your eyes dry. Season 2 of producer-writer-director-star Donald Glover’s ode to the Peach State capital expanded beyond its already vast horizons. 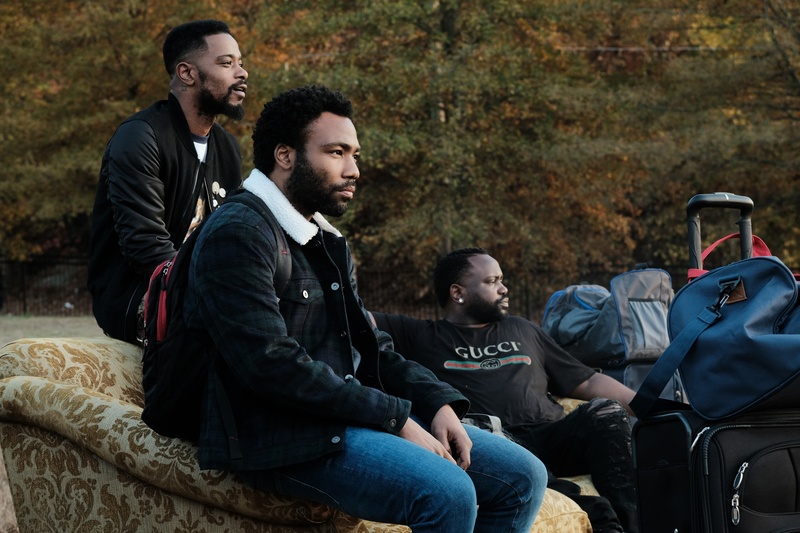 A meditation on being black in America today, a cynical drama as much as it is a laugh-out-loud comedy, and, increasingly, a thematic and stylistic playing field, “Atlanta: Robbin’ Season” demonstrated that there’s very little Glover, Brian Tyree Henry, Lakeith Stanfield, Khris Davis, and Zazie Beetz can’t do. D’Arcy Carden, Anthony Carrigan, Sarah Goldberg, Kirby Howell-Baptiste, Paula Newsome, Stephen Root, and especially Henry Winkler are all so funny individually, each could lead their own show. On HBO’s dark comedy about an assassin bitten by the acting bug, they’re an embarrassment of riches, memorable even for minor appearances here and there. Led by co-creator Bill Hader in the titular role, this is one of the most cohesive groups of goofballs on TV. Since its first episode—featuring two bickering friends (Alison Brie and Betty Gilpin) wrestling in full 1980s-kitsch regalia before a roaring crowd, a vision dreamed up by their would-be director (Marc Maron)—Netflix has had another hit comedy on its hands. Much of this show’s success is due to its eclectic ensemble of wildly different but equally convincing women, which includes Britt Baron, Shakira Barrera, Kimmy Gatewood, Rebekka Johnson, Sunita Mani, Kate Nash, Sydelle Noel, Gayle Rankin, Kia Stevens, Jackie Tohn, Ellen Wong, and Britney Young. As evidenced by the SAG nominations for both “Barry” and this new Netflix comedy, actors love stories about actors. In “The Kominsky Method,” Michael Douglas plays a revered acting coach with a long-ago brush with success, with the hilarious Alan Arkin as his lifelong friend and agent. Equally hilarious are Sarah Baker, Emily Osment, Graham Rogers, Susan Sullivan, Melissa Tang, and Nancy Travis. Two seasons into this Amazon Prime Video Emmy winner, we feel intimately connected to its cast of oddballs and the gorgeous, zany version of 1959 New York that Amy Sherman-Palladino has created. There isn’t a moment of screen time that any of the actors—Rachel Brosnahan’s Midge, Alex Borstein’s Susie, Michael Zegen’s Joel, Zachary Levi’s Benjamin, Tony Shalhoub’s Abe, and Marin Hinkle’s Rose—aren’t at their heightened, hilarious best.